Thank you Julie for helping us picking our new car and for getting it ready for us to take it home so quickly! We appreciated your help. It was a pleasure working with Julie. 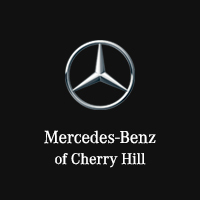 We had a great experience purchasing a vehicle from her at Mercedes Benz of Cherry Hill and would highly recommend anyone looking to work with her. We never felt pressured or pushed into anything during our experience and are looking forward to future purchases with her. Thanks again, Julie! The overall experience in purchasing my new car was wonderful. Working with Julie was fantastic and really helped to reduce the stress of a new car purchase. Julie Thompson went out of her way to make my purchase the best experience I have ever had at a dealership. Her expert knowledge of the product and straightforward approach was a welcome change to what I have experienced with past transactions I would highly recommend her to anyone considering a new car purchase! Walked in and got help right away, was very nice and helpful in every way. Didn’t waste anytime and gave me the best price. I highly recommend Denny as anyone’s salesperson especially if they’re looking to lease or finance. I walked out really satisfied, just want to thank him for making my experience wonderful. Julie Thompson - Thank you for helping me into my new GLC. I love it ??. First and only salesperson to take so much time teaching and explaining all of the features of a new vehicle. K.D. Was looking to lease a 2019 C-Class and I was helped by Anthony Sanders from a online quote. I'm came in and was greeted by a gentleman name Eric Andracchio. Told him what was going on and told him the truth that I went to another Mercedes dealership a few weeks and showed him what they offered. They went and looked at my vehicle and told me they will beat any deal that was offered to me. I wasn't even there for 15 and most of it was actually looking at the car on the showroom floor.